July 7, 2017 . . . Edwardsville-based law firm Gori Julian & Associates, P.C. today announced four new partners to the firm: Martavious "Mark" Thomas, Todd Mathews, Erin Beavers and Beth Gori. All attorneys will be working in the Edwardsville office location. 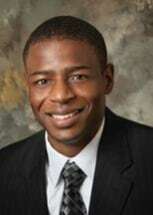 Martavious "Mark" Thomas joined the firm in 2009 and has dedicated his career to helping those affected by exposure to asbestos. 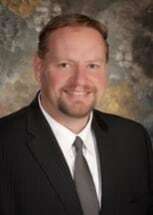 Currently licensed to practice law in Illinois and Missouri, Thomas is focused on advocating for those who were wronged by the actions of others, along with representing those who fall victim to mesothelioma and lung cancer as a result of exposure to asbestos. Licensed to practice law in Illinois, Missouri, and Florida, Todd Mathews is also a new partner at the firm. Mathews focuses on asbestos litigation and personal injury litigation and was recently named a member of the Plaintiff Steering Committee for the Mirena (PTC) Products Liability Litigation Multi District Litigation as well as being named a member of the Plaintiff Executive Committee for the Smith & Nephew BHR Hip Implant Multi District Litigation. Mathews is head of Gori Julian & Associate's Mass Tort and Class Action Litigation Departments. Erin Beavers began her legal career as a prosecutor in Madison County, specializing in domestic violent crimes. Prior to joining the firm in 2009, Beavers handled medical malpractice cases at a reputable defense firm. As a Gori Julian & Associates team leader, she works hard to obtain the best results for her clients, focusing on asbestos litigation cases. Beth Gori is licensed to practice law in Missouri and Illinois and the U.S. District Court Southern District of Illinois. 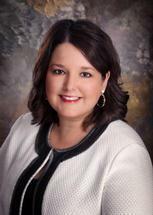 Gori has worked for several years in the field of personal injury and as a Madison County Assistant State's Attorney. 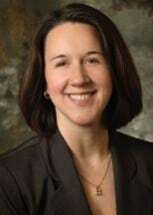 She is a member of the American Bar Association, Illinois Bar Association and the Madison County Bar Association. In the community, Gori serves on the board of directors for CASA (Court Appointed Special Advocates) of Southern Illinois and is also a member of the board of the Friends of the Wildey. "Our newest partners show great passion for what we represent and each of them excel in what they do for our firm," said Randy Gori, founding partner and attorney at Gori Julian & Associates. "They are great at settling cases and making sure our clients get justice. We will be a stronger and better firm with them as partners."